Thermodynamische Begründung des photochemischen Äquivalentgesetzes. [With:] Nachtrag zu meiner Arbeit: Thermodynamische Begründung des photochemischen Äquivalentgesetzes. Leipzig: Johann Ambrosius Barth, 1912. First edition, extremely rare author's presentation offprints (with 'Überreicht vom Verfasser' (Presented by the Author) printed on front wrappers), and the copies of Einstein's son Hans Albert, of Einstein's formulation of the photochemical equivalence law. This is a fundamental principle relating to chemical reactions induced by light, which states that for every quantum of radiation (photon) absorbed, one molecule of the affected substance reacts. Einstein's formulation, founded on thermodynamics, marks the first application of quantum theory to photochemistry; it was one of his last significant contributions to quantum theory. The photochemical equivalence law is also known as the Einstein-Stark law: the German experimental physicist Johannes Stark had published his own derivation of it in 1908, but at that time Stark did not agree with Einstein's views on the corpuscular nature of radiation, writing: "In my opinion it is not necessary to postulate a discontinuous structure of the radiation energy, which flows with the velocity of light in ether" (quoted in Mehra & Rechenberg, p. 103). OCLC lists only two locations (King's College London and Swiss National Library for the main work, the latter only for the 'Nachtrag'); no other copy in auction records (neither of these papers were in Einstein's own reference collection of offprints in the Richard Green Library). Provenance: Hans Albert Einstein (1904-1973), Swiss-American engineer and educator, and the second child and first son of Albert Einstein and Mileva Mari (ownership stamp on front wrapper). He moved to the US in 1938, and spent most of his career at the University of California, Berkeley, where he was a professor of hydraulic engineering. Einstein's work on the photochemical equivalence law came at a time of crisis in his attitude to the quantum theory of radiation. Einstein had first put forward the idea of light quanta in 1905, but in later years he came to doubt the validity of the idea, despite its earlier success in explaining the photoelectric effect. In May 1911, "Einstein confided to [Michel] Besso his doubts on the existence of quanta in general: "I no longer ask myself if these quanta really exist. And I do not try any more to construct them because I now know that my brain is unable to do it. But I still explore the consequences as carefully as I can to learn the range of validity of this idea." In February 1912 he wrote to Hopf: "Quanta certainly do what they ought to, but they do not exist, like the immovable ether. At the moment, the latter is turning diligently in its grave intending to come to life again -- poor fellow" ... [Einstein] no longer sought to "construct" quanta and instead tried to see how far quantum results could be obtained without quantum discontinuity: "After many fruitless attempts," he wrote in the same letter [to Wien in May 1912], "I too have come to the conclusion that one will not be able to put the theory of radiation on its feet merely by constructing models. This is why I tried to formulate new questions through pure thermodynamics, without making use of a picture." The first yield of this new strategy was a derivation of an obvious consequence of the light quantum hypothesis, the law of photochemical equivalence, without light quanta [the first offered paper]" (Cambridge Companion to Einstein, pp. 131-2). Einstein derived the photochemical equivalence law using thermodynamics; the fact that this law is consistent with the conclusion one would derive from the light quantum hypothesis lends support to that hypothesis. Einstein's paper on the photochemical equivalence law led to a deterioration in his relations with Stark. "Several years later Albert Einstein gave a treatment of the photochemical laws on the basis of quantum theory [the two offered papers]. Johannes Stark, in a subsequent note, then drew attention to his earlier treatment, to which Einstein replied by stating: 'J. Stark has written a note concerning a paper of mine, published recently [the first offered paper], with the purpose of defending his intellectual property. I do not wish to comment on the question of priority implied in it, for it would hardly interest anyone, especially since the photochemical equivalence law must be regarded as a completely obvious consequence of the quantum hypothesis'. He further remarked that his new derivation was different and founded on thermodynamic arguments. Stark pointed out in a second note that he agreed with the last statement; but he still claimed that he had obtained the photochemical laws on arguments different from Einstein's in his paper on the light-quantum ... In 1912 the relations between Einstein and Stark had already become less cooperative than they had been in previous years, and they would deteriorate further in the future. Einstein's harsh answer in the question concerning the priority of the formulation of photochemical laws may have triggered Stark's unhappiness" (Mehra & Rechenberg, p. 104). Mehra & Rechenberg, The Historical Development of Quantum Theory, 1, pp. 103-104. Weil, Albert Einstein Bibliography, 46. Together two offprints from Annalen der Physik, 4. Folge, 37 & 38 Band, 1912. 8vo (220 x 144 mm), pp. 832-838 & 881-884. Original printed wrappers with ownership stamp of Hans Albert Einstein on front wrappers. Very fine condition. The Heroes, or Greek Fairy Tales for My Children. London: The Medici Society Ltd. 1912. Small quarto. xvii, 113pp. From an edition of 512 copies, this is number two of twelve printed on vellum. Illustrated with twelve mounted color plates by Sir William Russell Flint. These reproductions of watercolor paintings were originally grouped together at the back of the book, but were distributed throughout the text in their relevant places when it was rebound. Together with an additional portfolio of twelve duplicate plates. The text was written by Charles Kingsley, who tells the tales of Perseus, the Argonauts, and Theseus, for "there are no fairy tales like these old Greek ones, for beauty, and wisdom, and truth, and for making children love noble deeds, and trust in God to help them through." 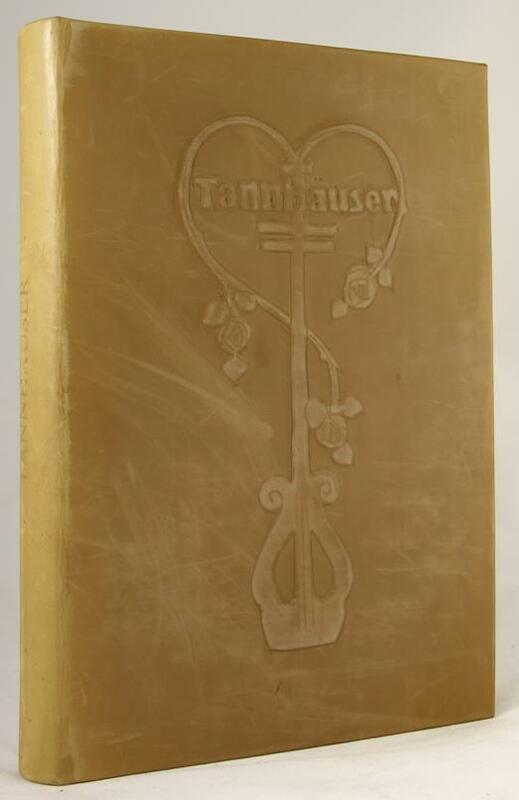 This volume features a designer binding by Lester Capon. Trained in the art of bookbinding by James Brockman, Capon is known for employing traditional bookbinding methods and materials within a modern context. Bound in green goatskin, with multi-colored and hand-stained leather and paper inlays and gold tooling. At the center of the spine extending over both covers is a circular design filled with small curved gold lines and dots and multicolor circular inlays; at the center, like the boss of a shield, the gilt title rests on a red circle. In the background, inlays and gold tooling resemble a field of stars and planets, and undulating navy lines run lengthwise across both covers. Capon says of the design: "The central massing of gold and coloured inlays is mainly based on shields, but I don't do 'literal' or illustration, so it's invented and imagined. Or it could be the sun! - the presence of ancient gods is prevalent and relevant, which is why, also, the hand stained inlays are suggestive of the heavens." Sewn silk endbands, orange Finnish reindeer suede doublures, and Ingres endpapers in harvest gold and merlot finish this finely executed binding. T.e.g. Housed in felt-lined, cloth drop-back box in gray-blue with restraining wedge and a separate compartment for the cloth folder containing the additional plates. Extremely fine. London: London & Counties Press Assoc, 1912-1915. 4 vols: xii, 443;xvi, 345;xix, 408;xix, 433, numerous colb/w plates. Hardback. Large 4to, orig. full morocco, gilt, teg, other edges uncut. Spines very slightly faded. Vg ex-lib. set. From an institutional library with ink stamps to endpapers and verso of plates. 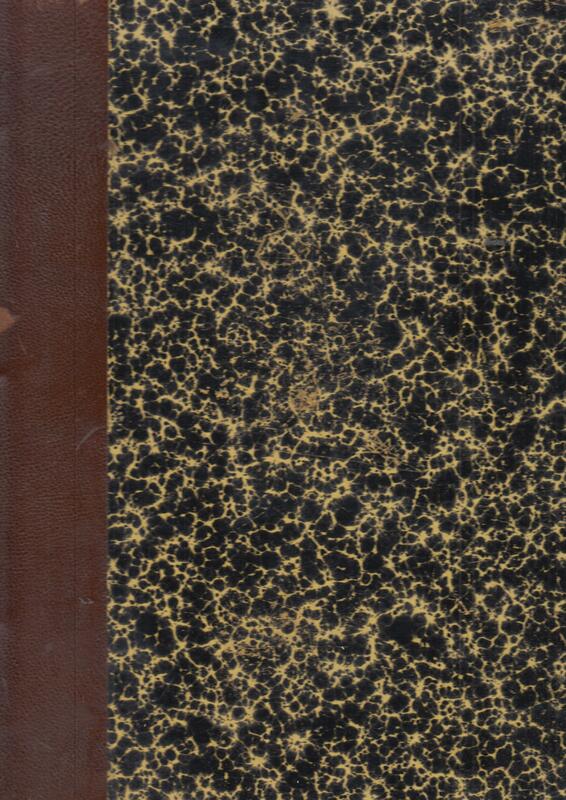 Some insect damage to the endpapers only, mostly minor and marginal, but more extensive to vol. 1 (Game Birds). Frontispieces foxed, occasional light foxing elsewhere. All No. 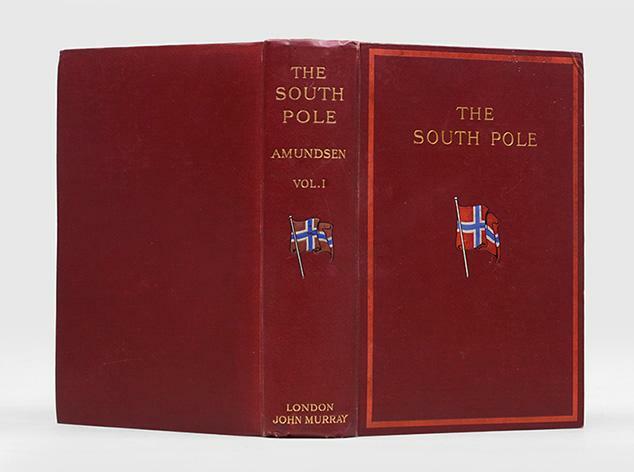 403 of the 500 complete sets Each volume issued in a limited edition of 950 numbered copies. The first 500 copies of each volume were issued as complete sets. 4 photogravure frontispieces of George V, 59 colour and 5 monochrome plates reproduced from original water-colour drawings specially executed for this work by G.E. Lodge, A. Thorburn, V.R. Balfour-Browne & E. Caldwell, 8 photogravures, 203 half-tone plates, figures and illustrations in text. BARRIE, [Sir] J.M. [James Matthew] (1860-1937). [RACKHAM, Arthur, illustrator]. London: Hodder and Stoughton, . FIRST EDITION thus. Quarto, pp. 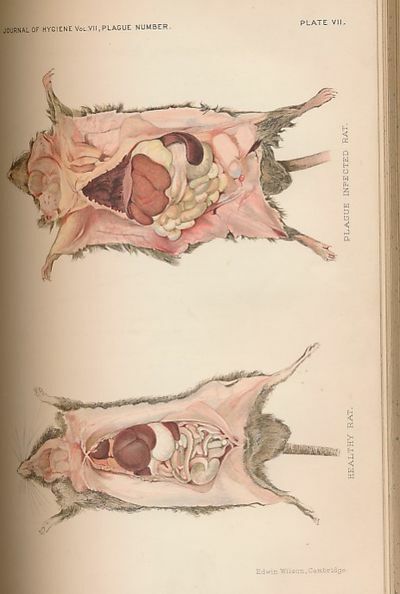 With 50 mounted colour plates, captioned tissues, and numerous black and white illustrations. Publisher's gilt decorated bright green cloth. A very clean copy indeed; free from the usual foxing, no inscriptions. The plate at p.30 is misbound and situated before the list of illustrations (slightly creased at fore-edge). Cloth is fine but for a few faint marks to boards and slight sunning of backstrip. A most attractive copy. The best edition in the opinion of these cataloguers, being the first edition to have full page black and white illustrations and the first to have the plates bound throughout the book rather than grouped at the end. Bleiler; Checklist of Fantastic Literature . Book Collector No.271, 'The Great Illustrators'. 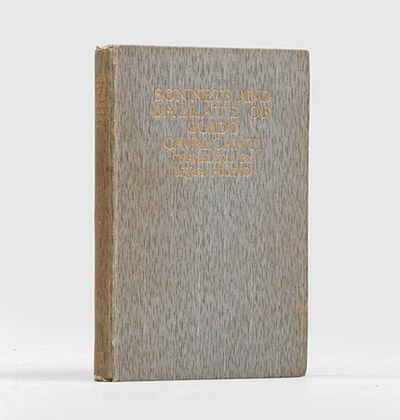 Sonnets and Ballate of Guido Cavalcanti. London: Stephen Swift and Co., Ltd.,, 1912. With translations of them and an Introduction. Octavo. Original streaky grey cloth, titles to spine and front board gilt, edges untrimmed. 32 pp publisher's advertisements at the rear. Spine a little toned, light rubbing to ends and corners, a sound and clean copy in excellent condition. First UK edition, first impression, presentation copy with the "Presentation Copy" blind stamp to title page. The UK edition was published about a week after the US edition by Small, Maynard & Co in Boston, with some revisions to Pound's introduction and the translations. Pound's Cavalcanti is published with Italian and English printed in facing text throughout. 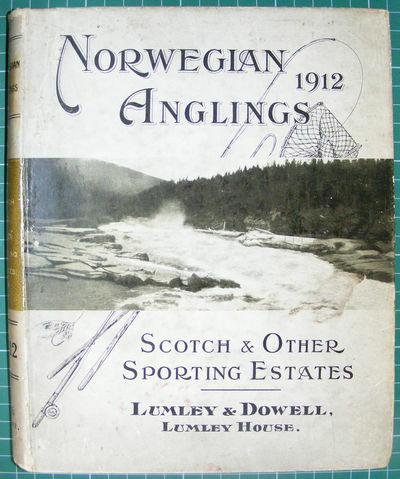 The UK edition is scarce, since a large portion of the print run was destroyed by a fire at the binders. This copy has the later bookplate, illustrated by Jack Yeats, of San Francisco poet Frederick Reid. Cambridge: Cambridge University Press. G: in Good condition without dust jacket. 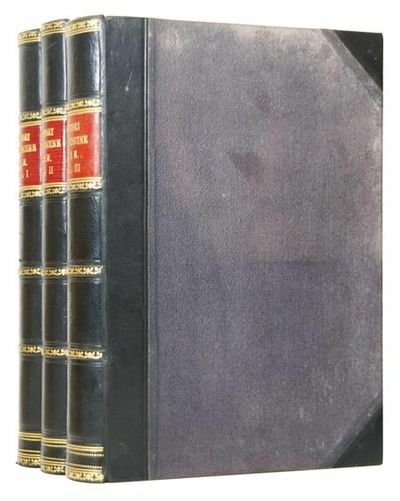 Covers slightly rubbed with some splitting to volumes along spine ends. Some edgewear to boards. Ex Zoological Dept of Edinburgh University library cancel stamps and blind stamps. Inner hinges strengthened. Heraldic University stamps to front pastedowns. 1912. First Edition. 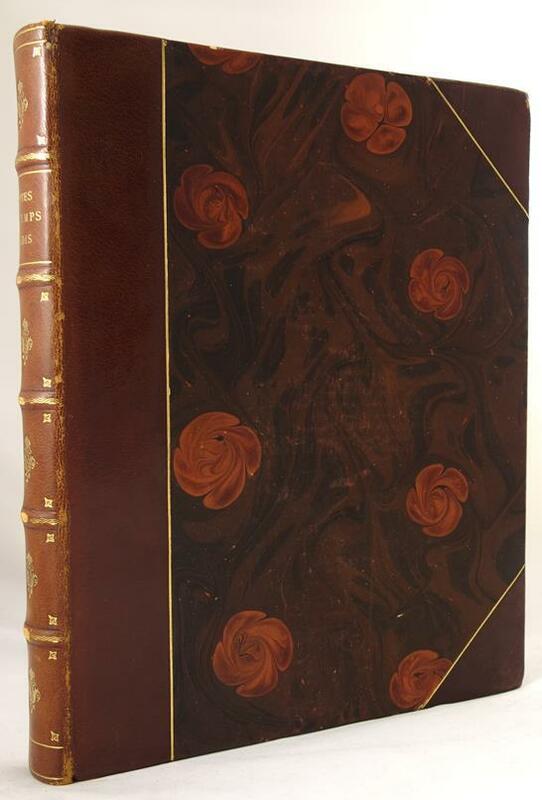 Brown hardback half-leather covers on marbled boards. 260mm x 190mm (10" x 7"). 993pp; 568pp; 401pp; 206pp. Plates, charts, distribution maps and section diagrams throughout. Heavy set - shipping supplement may apply. .
- Radierung und Kupferstich 1912, auf chamoisfarbenem Japan, monogrammiert, bezeichnet und datiert. 41,8:35,8 cm. Literatur: Vogel 93 B XIX. &#150; Abdruck des vollendeten Zustandes mit der Jahreszahl 1912. Hauptblatt des Künstlers, die Frucht fünfjähriger Arbeit, wurde schon bei Erscheinen 1.000.&#151;Mark ausgegeben (vgl. H.W. Singer, Moderne Graphik. 2. Aufl. Leipzig 1920, S. 160). Deutscher Grafiker, Maler, Vertreter der stilisierten Kunst um 1900. Lithografenlehre und Zeichenunterricht; bis 1891 Studium an der Kunstakademie München. Anschließlich Studienreise nach Italien. 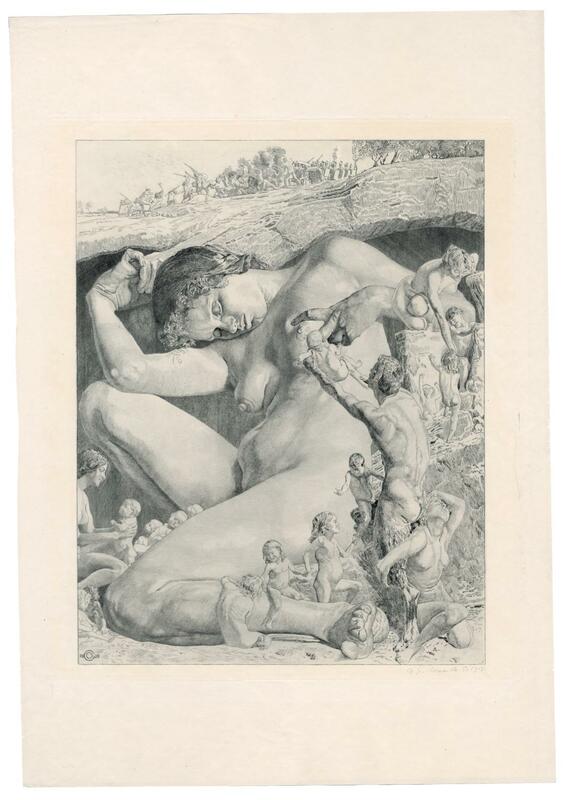 Dort Bekanntschaft mit Max Klinger, der ihn maßgeblich prägt (Parisurteil, 1892; Der Tanz, 1896, beides Lithografie) und dessen Atelier in Rom er 1898 übernimmt. Lebt bis zum 1. Weltkrieg in Rom. Greiner ist ein meisterhafter Zeichner und Lithograf, der zahlreiche Buch-Illustration fertigt; geschätzt werden auch seine Künstlerporträts (Max Klinger, 1914). Als Maler widmet er sich mythologisch und allegorisch Themen sowie Porträts. Werke in den grafischen Sammlung in Berlin, Dresden, Leipzig, Wien. Aus: Steppes, Michael; Schaller, Andrea: Seemann Künstlerlexikon. Leipzig, 2012: E.A. Seemann Verlag. London: Longmans, Green and Co., 1912-1922.. FINELY BOUND. In three volumes, Octavo. Several sections forming the History of Medicine section from the proceedings of the Royal Society of Medicine extracted from the Journal of the Royal Society of Medicine and smartly bound at the time in black half calf over dark blue cloth, gilt titles on a red leather square to spines, all edges speckled. Some toning to endpapers, otherwise bright and clean inside, cloth shows some marking, some rubbing to leather mostly to the corners. A very good and interesting item. Und Afrika sprach... Wissenschaftlich erweiterte Ausgabe des Berichts über den Verlauf der dritten Reiseperiode der Deutschen Inner-Afrikanischen Forschungs-Expedition in den Jahren 1910 bis 1912. Mit Unterstützung des Hamburgischen Museums für Völkerkunde herausgegeben. Bd. 1: Auf den Trümmern des klassischen Atlantis. Bd. 2: An der Schwelle des verehrungswürdigen Byzanz. Bd. 3: Unter den unsträflichen Aethiopen. Archive of Aviation Documents Concerning the Development of a Swiss Air Force, Including Typescript Reports, Manuscript Notes and Charts, Manuscript Drawings, Photographic Images, Correspondence, and Ephemera, most Dating between 1912 and 1914. 1912. Archive of Aviation documents gathered by Etienne Edmond Borel (1858-1928), a founding member and president of l'AÃ©ro-Club (the Swiss Aviation Club), Colonel in the military, and a leading active advocate for establishing a Swiss military Air Force. Featuring intelligence gathered from other countries, and original signed letters from notable pioneer aviators. Most docuemtns are in French; a scant few are in German. Occasional creasing or chips to margins, otherwise the lot in very good condition, a cornerstone to any Swiss aviation or militaria library. Earnest in his effort to establish a Swiss military air force, previous to the Great War, aeronautics pioneer Etienne Edmond Borel (1858-1928) dedicated years of research into foreign military aviation, from aircraft development to military organisation and air defense. He also performed and recorded flight experiments. Much of his work is present in this, his personal archive, which also yields letters and signatures from several other notable figures in the history of aviation. At the time of Borel's work, Switzerland did not have an air corps, and up to 1914 there was still very little official support for establishing one. The first military aviation in Switzerland, in fact, took the form of balloon transport, pioneered by Swiss balloonist Eduard Spelterini, who performed test flights for the Swiss military Airship Company which had been founded in 1897. To impress upon the government the importance and viability of establishing a Swiss Air Force, and secondly for public support, Borel draws an impressive amount of information from foreign military archives and publications of existing air forces. He writes to numerous parties to obtain confidential information which he would otherwise not have privilege to, in this manner procuring a document of the procedures and considerations taken by France in 1911 to effectively develop its military air force. Not only seeking data from powerful nations such as Germany, France, England, Russia, and America, he also illustrates the movement from airships to aeroplanes in small neighbouring countries. He further substantiates his conviction in the benefits of military aviation, with his own aviation expertise and firsthand aircraft observations. He also attempts to establish aviation schools in Switzerland. As a leading contributor of fundamental aviation data, scientific testing, and foreign intelligence on the matter, Borel was most influential to the founding of the Swiss Air Force in 1914. Following are some examples and highlights from the archive: 1912 Intelligence on foreign military aviation, compiled by Borel and presented to the board of the Swiss Society of Officers (SociÃ©tÃ© suisse des officiers, SSO) which aims to promote an effective army and deals with matters of national and international relations within the framework of Swiss security policy objectives. Title: Notes et renseignements sur l'aviation militaire Ã© l'Ã©tranger. par le Lieut Colonel Etienne Ed. Borel... Offert Ã la SociÃ©tÃ© des Officiers, AoÃ»t 1912. 8vo. 60 pages, typescript document with orange paper covers titled to front and dated August 1912. Borel draws attention to the increasing aeronautics development for military use, in world powers and in small neutral nations, in hopes to influence Swiss leaders to do the same. He begins by providing the specific number of military aircraft operating in France, Germany, Austria, England, and Italy, together with a compendium of further intelligence gathered from these countries as well as Turkey, Russia, Belgium, China, Japan, and the United States of America. He then reviews in detail the 12 million francs budget allocated by France in 1912 for a military aerostation, including funding for various regiments. In a summary of maneouvering experiments undertaken in France in 1911, which he participated in, he compares dirigibles to aeroplanes. Here he reassures his audience of diplomats that an air corps would not interfere with cavalry or other ground troops, "Service Aeronautiques... Leur emploi ne diminue en rien le rÃ´le de la cavalerie et des troupes employÃ©es au service de sÃ»retÃ© il n'est d'ailleurs pas possible en tous temps." A portfolio of important correspondence and confidential military information, concerning the formation of a national Air Force as well as aviation schooling, featuring original signed letters from notable early aviators and inventors in France and Germany. Some examples: - Borel's retained carbon copies of a manuscript letter requesting apprenticeship information from famous French aviator and inventor Louis BlÃ©riot, who was at the time involved in a five-year legal struggle with the Wright Brothers over their wing warping patents. Also with BlÃ©riot's response on corporate letterhead; his firm designed and produced aircraft. - Request for apprenticeship contracts, as above, from Ã‰douard Nieuport whose company primarily built racing aircraft - Request for apprenticeship contracts, as above, from pioneering French aviator and the first winner of the Daily Mail aviation prize Louis Paulhan, - Correspondence with French aviator and aircraft builder Roger Sommer, who provides Borel with copies of purchase contracts with which France bought monoplanes from Belgium. - Enquiries into costs and requirements for operating an aviation school, sought from FranÃ§ois Durafour, the first glacier pilot RenÃ© Grandjean, and again Louis BlÃ©riot, Roger Sommer, and Louis Paulhan. - Details obtained on the steps taken by France in 1911 in developing its military air force. Summary of international standards, comparing from Germany, France, Italy, Russia, England, the United States, Belgium and Austria, such things as pilot certification requirements, insurance, recruiting, indemnities for aviators, and construction standards for aeroplanes. We also find in this folder a manuscript plan of the aerodrome in Leipzig. 8vo. Neatly organized blue folder, titled, signed by Borel to front and dated Juin 1913. A group of manuscript drawings contained together in a yellow envelope: - 16 pencil drawings on draft paper, each of a unique pioneering aircraft, leafs measuring approximately 15 x 13 cm; - 4 coloured manuscript ink drawings of German bombs for air dropping - 3 manuscript ink drawings of aviation camps in France and England, together on one large leaf of draft paper measuring 66 x 30 cm; - 1 large drawing of the Wilkes biplane, made in Lausanne in 1916 and signed by the artist (Last name Wilkes) on draft paper measuring 64 x 29 cm; - 8 photograph copy images of airships; - 1 original photograph of a German bi-plane. Aviation statistics and observations (circa 1912-1914): - A typed list of Switzerland's certified pilots - Borel's assessment of then recent flight accidents and their causes - A comparative chart of some 25 manufacturers' bi-planes, their specs and capabilities - A chart of flying observations recorded during planned experimentation (found in Borel's report 'AÃ©rodynamique' described below) - Manuscript chart recording new world records in aviation achieved in the year 1914. 1913 Scientific report on Aerodynamics replete with manuscript diagrams and calculations. A fascinating pioneering aeronautics study, this is Borel's personal working copy, heavily annotated, featuring an insert with definitions and a manuscript table of contents. Title: AÃ©rodynamique; Forces qui agissent sur un AÃ©roplane; StabilitÃ©; Propulseurs. 8vo. 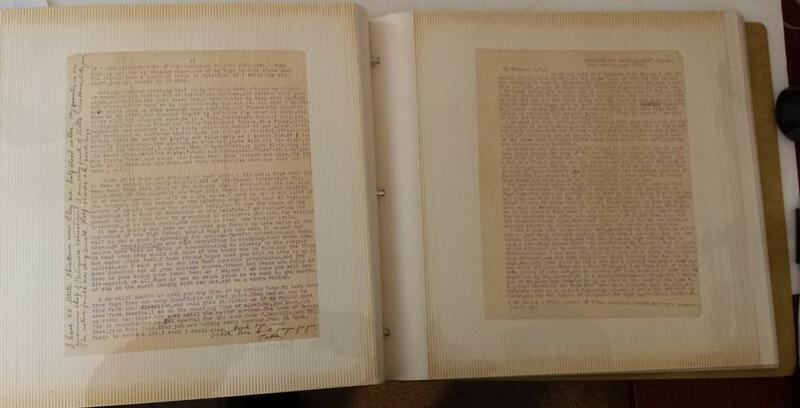 41 pages, typescript with orange paper covers titled in manuscript and signed original by Borel to front. Some of the subjects within include air resistance, horizontal flight, elevation and descent, stability and steering, rolling, methods for propulsion, and a data chart comparing the results of six trial flights using bi-planes. "AÃ©rodrome d'Avenches" - A typescript report on the founding and the construction of the Swiss aerodrome erected in a prairie region called Cours-Vieux, in Avenches, canton of Vaud, which was in operation from 1910 to 1921. Aerodome Plans: - Early printed plan of the first Geneva aerodrome, created in 1919 at Cointrin, near the city of Geneva, and covering an area of 54 hectares (130 acres) - Manuscript plan of the aerodrome in Leipzig Correspondence pertaining to a meeting to take place 19 and 20 August 1912 concerning hydro-aeroplanes [seaplanes], including a addressed to Etienne Borel, then President of the Swiss Aviation Club, headquartered in Geneva. Together with the itinerary and rules for the meeting. 8vo. 7 pages typed, completed in manuscript. [This was only the second meeting in the history of hydraviation, with only four pilots taking part. Except for RenÃ© Grandjean who was Swiss, the three other pilots were all French: AndrÃ© Beaumont, Franck Barra and RenÃ© TÃ©tard. Lieutenant Colonel Etienne Borel was invited to present a silver cup to each of the airmen.] Seventeen (17) photograph film negatives of images taken at air shows held in Geneva and Lausanne, Switzerland, contained in an envelope with the label of Rembrant Paper, and inscribed in manuscript, "GenÃ¨ve et Lausanne 1912, format 7 x 11" Lecture notes headed "Locomotion Aerienne" which Borel presented in the town of Vevey on 21 February 1913, according to his annotation. 40 pages typed, heavily annotated, contained in a folder. Ephemeral items of historical aviation interest, such as: Two copy print photographs of AgÃ©nor Parmelin (1884-1917), Swiss pioneer aviator, and military aviation instructor, who is best remembered as the first man to fly an aeroplane over Mont Blanc on 11 Februay 1914 and thus connecting Geneva to Aosta (I). He died in 1917 in Varese in a seaplane accident. Together with an article from a German newspaper announcing the successful Mont Blanc flight, with a photographic image of Borel congratulating Parmelin. - Two consecutive issues of a Swiss newspaper called "L'Image de la vie moderne" of special interest to Swiss aviation, with photographic images on the front covers, and several related articles, both printed in 1919. Swiss aviation pioneer Oskar Bider makes the front cover of one of the issues; he was the first person to cross the Alps in a plane on a route from Bern to Milan, a feat he completed in 1913. - The calling card of Ernest Burri (1887-1969), a Swiss pioneer aviator, a test pilot French aviation company Chantiers AÃ©ro-Maritimes de la Seine (CAMS), and runner-up in 1914 edition of the Schneider Cup. - An invitation to an event hosted by the AÃ©ro-Club Suisse in Brigue in 1920 to erect the monument to honour Peruvian aviator Jorge ChÃ¡vez Dartnell. - Newspaper clippings, printed articles, and periodicals from the period, each announcing or describing major events in the history of aviation - A colour printed chart of aviation ensigns. Collection of letters from a missionary in Africa 1912-1921. Hörst du gern vom Osterhäslein? Nun so steckt ins Buch dein Näslein. Wort von Jos. Weber. Bild von Fritz Kracher. PARKER, N.. (PARKER,N.)illus. 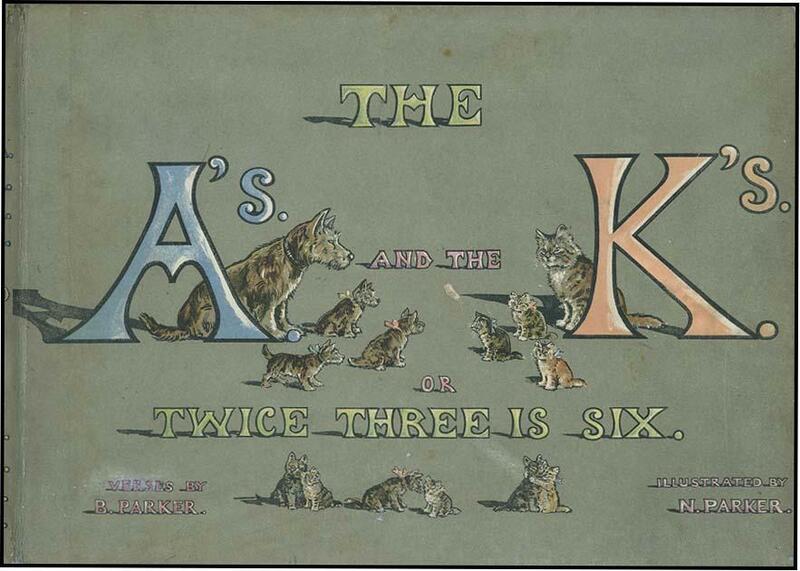 THE A'S AND THE K'S OR TWICE THREE IS SIX by B. Parker. London & Edinburgh: Chambers, no date, circa 1912. Oblong folio (12 3/4 x 9 1/4"), pictorial boards, edges rubbed and some wear to paper on spine, a few minor margin mends, VG+. The story told in verse relates the competition and rivalry between 3 adorable Scottie puppies and 3 wonderful kittens who are neighbors. 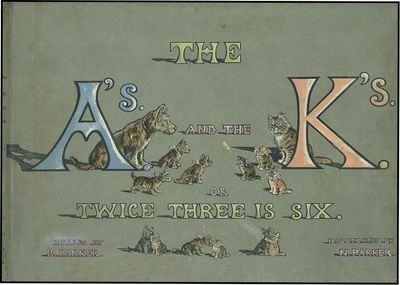 Illustrated by N. Parker with 24 chromolithographed plates plus numerous brown line illustrations on every page of text, as well as pictorial endpapers. A terrific picture book. - Société des amis des livres, Paris 1912, 21x29,5cm, en feuilles sous chemise et étui. - Edizione originale sulla carta corrente. Binding Editor con tela piena di crema, l'etichetta della colonna vertebrale liscia muto e incollate una foto sul primo piatto piena della sua chiusura e la sua band. Iconografia, un ritaglio di giornale e una cartolina di Angelus di Millet uniti. Bella copia. - [FRENCH VERSION FOLLOWS] Edition illustrée de 35 eaux-fortes originales d'Henri Paillard et imprimée à 100 exemplaires numérotés sur vélin d'Arches. L'ouvrage est également illustré d'ornements typographiques sur bois d'Henri Paillard d'après les détails d'architecture des monuments de Venise. Quelques légères piqûres sans gravité affectant principalement les gardes. Agréable exemplaire. Zentralorgan der Kommunistischen Allunions-Partei (Bolschewiki) (WKP(B)). Nr. 179, 1. Juli bis Nr. 270, 30. September 1934. Kyrillisch. Erstmals erschien die Prawda am 5. Mai 1912 unter der (informellen) Herausgeberschaft von Wjatscheslaw Molotow, den späteren Volkskommissar für Auswärtige Angelegenheiten. Ehem. Bibliotheksexpl., gestempelt. Rand bei einigen einzelnen Ausgaben knapp beschnitten, z.T. mit minimalem Textverlust). Titelseite der Nr. 179 mit größerem Eckausriss (Textverlust). Bei den großformatigen Prawda-Nummern Mitte der 1930er Jahre handelt es sich um seltene Ausgaben, die vor allem in Schaukästen für die interessierte Leseschaft präsentiert wurden. 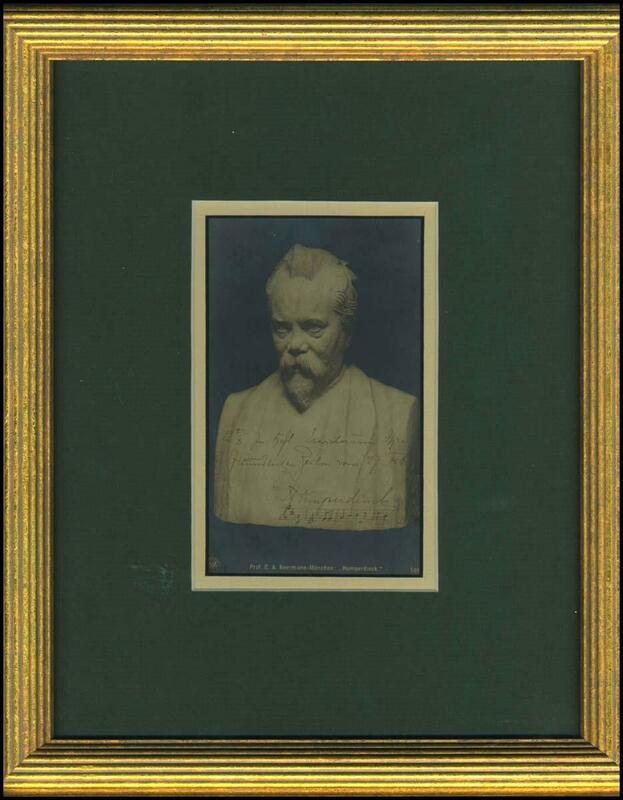 - Attractive postcard photograph of a bust portrait sculpture of the German Romantic composer, signed and inscribed August 23, 1912 "In höflicher Erwiderung Ihrer freundlichen Zeilen vom 27. Febr" ("As a polite reply to your kind lines of Feb 27") with a 4-bar Autograph Musical Quotation possibly from his Hänsel und Gretel. Light silvering around the edges, small impression from a postal cancelation upper right corner, otherwise fine. 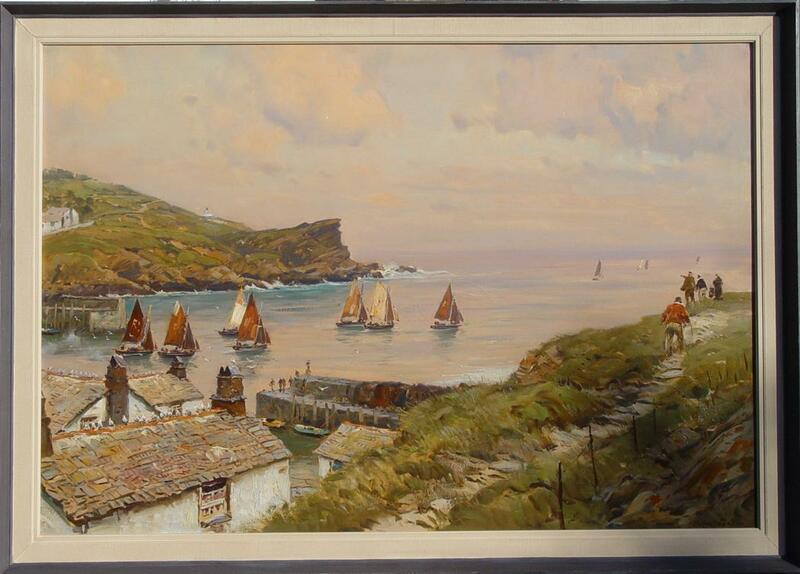 Nicely matted and set in a gilt wood frame to 23 x 26 cm. Richard Strauss, who conducted the opera's 1893 premiere, called it "a masterpiece of the highest quality. all of it original, new, and so authentically German." VI, 462pp. Paris, Gauthier-Villars, 1912, in-8, VI, 462pp, broché, Cet ouvrage réunit l'ensemble des rapports et des discussions de la Réunion tenue à Bruxelles du 30 octobre au 3 novembre 1911, sous les auspices de M. E. Solvay, et publiés par MM. P. Langevin et M. De Broglie. Ce Conseil scientifique s'est réuni dans le but de discuter une série de points controversés des théories physiques modernes. Cachet annulé de l'Institut catholique de Paris. Dos insolé. Quelques petites rousseurs. paginé 126 à 149 [Toulon], , in-4, paginé 126 à 149, exemplaire broché (dos restauré), "The first example of an existence proof in analysis based on algebraic topology" Très rare tiré à part du dernier article qu'Henri Poincaré envoya aux Annales de la Faculté des Sciences de Toulouse et qui parut posthume. Poincaré décéda le 17 juillet 1912 et comme l'indique une note, il ne put "corriger les épreuves de ce Mémoire, dont il avait envoyé le manuscrit à l'imprimerie le 7 juillet 1912". Cet article, a posteriori bilan, forme une synthèse du parcours qui mena le jeune Poincaré, dans le domaine de fonctions analytiques et des équations différentielles, des fonctions modulaires de son maitre Charles Hermite à leur généralisation par les fonctions dites "fuchsiennes" de Poincaré. Ainsi, la création de ces nouvelles fonctions est à l'origine des fonctions automorphes et, après et avec Riemann, de la topologie et de la géométrie algébrique. "In his last paper on differential equations (1912), Poincaré reduced the problem of the existence of the periodic solutions of the restriced three-body problem (but with no restriction on the prarameter ?) to a theorem on the existence of fixed points for a continuous transformation of the plate subject to certain conditions, which was probably the first example of an existence proof in analysis based on algebraic topology" (DSB, XI, p. 60). 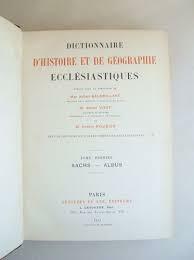 Très rare, nous n'avons localisé aucun exemplaire dans les bibliothèques publiques françaises. NEWELL, PETER. NEWELL,PETER. 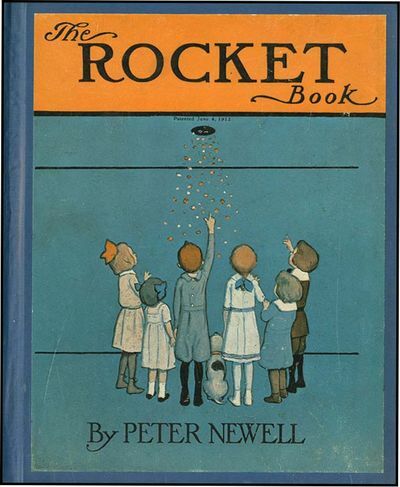 THE ROCKET BOOK. NY: Harper & Brothers (Oct. 1912). 8vo (7 1/4 x 8 3/4"), cloth, pictorial paste-on, cover plate very slightly rubbed and very slight rear cover soil else clean and near fine. 1st edition. Fritz, the janitor's naughty son, launches a rocket and the book follows the trail of destruction that results, with a hole in each full page illustration where the rocket has gone through. Text is in verse. 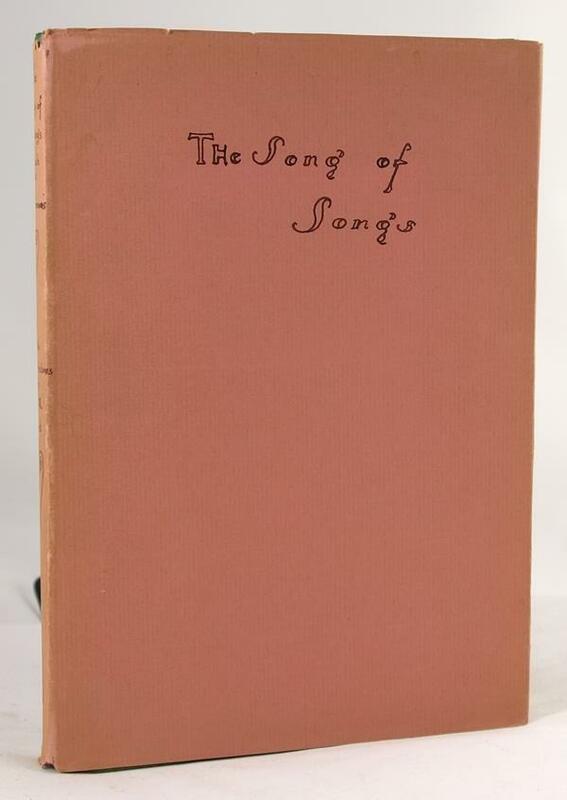 This is an especially nice copy of a book that is difficult to find in clean condition. Photographic salesman's catalogue for export porcelain. Canton: Tack Loong,, c.1912. 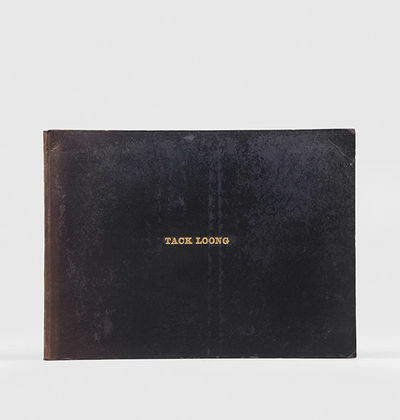 [together with;] Tack Loong Price List, 1912. 2 volumes; Landscape folio (330 x 245 mm). Original black moirÃ© silk binding, gilt lettering on front cover, 6 linen-hinged leaves of thick card-stock, with each with a mounted silver gelatin photograph, printed on glossy photo-stock from glass plate negatives, 209 x 286 mm, recording 537 porcelain objects pictured, each identified in the image with its stock number, original tissue-guards laid-in; price list, 26,  pp. Sewn in the original printed pink paper wraps, letterpress title to front panel. Spine sunned, front board mildly spotted, some edge-wear and light soiling, couple of corners slightly bumped, free endpapers creased, tissue guards browned and brittle, but remains very good; price list, just a little rubbed, very good. An extremely uncommon survival, a photographically-illustrated late-Qing dynasty salesman's catalogue for export porcelain from Canton, complete with its accompanying price-list. Tack Loong was one of the largest export-ware shops in Canton, located on Old Factory Street, and selling ceramics from Kiangse (Jiangxi), and Hongmu "blackwood" furniture. The Chinese Imperial Maritime Customs Collection Catalogue records that Tack Loong began dispatching bespoke pieces ornamented with the five-clawed dragon for use by the Qing Emperors in 1811, and annually sent tribute until around the time of this catalogue. Canton had long been considered as one of the areas producing porcelain of the finest quality, and in the nineteenth century, Tack Loong became well known to travellers, and the company consequently began to direct their production towards the tourist market and bulk exporters, particularly the British. This remarkable catalogue covers their entire range of table and decorative wares, soup tureens, flower baskets and vases, milk jugs, umbrella stands, various sizes of fish bowls, garden seats, ginger jars, tea pots, complete dinner services. In his trusted Traveller's Handbook for China, Carl Crow explains how prospective customers must take a blue curtained sedan chair rather than a rickshaw, which would be unable to navigate the narrow sewage filled alleyways to the square on Old Factory Street where where Tack Loong was located. Crow also cautions about the possible lead-time if you order one of the large ornate buffets with integral shelves, lockers and Yunnan marble tops, delivery of which could take up to a year. Perhaps unsurprisingly, no copies of either volume on OCLC. Hessische Chronik. Monatsschrift für Familien- und Ortsgeschichte in Hessen und Hessen-Nassau. Begründet und herausgegeben von Hermann Bräuning-Oktavio und Wilhelm Diehl. Jahrgang 1/1912 bis 29/1942 komplett. Darmstadt: Verlag der Wittich\'schen Hofbuchdruckerei 1912-1922 und 1925-1942. 29 Jahrgänge (= so vollständig). Frakturdruck. Durchgängig mit zahlreichen tabellarischen und genealogischen Übersichten, heraldischen Darstellungen und Abbildungen im Text. Gr. 8° (23,5 x 19 cm). 13 Halbleinenbände der Zeit mit goldgeprägtem Rückentitel und Steinmarmorpapierbezügen. [Hardcover / fest gebunden] sowie 15 Orig.-Broschuren. [Softcover / Paperback]. Die von dem Germanisten und Literaturhistoriker Hermann Bräuning-Oktavio sowie dem Theologen, Landtagsabgeordneten und Genealogen Wilhelm Diehl begründete und später von letzterem als Jahrbuch fortgeführte Hessische Chronik ist mit seinen fast 30 Jahrgängen ein maßgebender Fundus familiengeschichtlicher und ortskundlicher Informationen. Neben heraldischen und genealogischen Übersichten großer hessischer Familien finden sich Artikel zu regionalem Brauchtum sowie architektonischen Besonderheiten und Alleinstellungsmerkmalen einzelner Städte, ein Suchbuch für die Lehrerschaft der kurpfälzischen Volks- und Lateinschulen von 1700 bis 1802, Kriegsberichte, Briefe, Biographien und zahlreiche weitere Schlaglichter der hessischen Geschichte und Landeskunde. - Die Jahrgänge 1 bis 24 liegen in privaten Halbleinenbänden vor, die mit Steinmarmorpapier bezogen wurden. Besondere Aufmerksamkeit verdienen die nachgebunden Anhänge, die neben den originalen Interimseinbänden auch zeitgenössische Pressestimmen, Verlagsnachrichten und Mitteilungen an die Abonnenten enthalten. Die Jahrgänge 25 bis 29 liegen im Auslieferungszustand als Broschuren vor. - Einbände an den Kanten leicht berieben und am Rücken leicht ausgeblichen. Die Stempel der ehemaligen Bibliotheksexemplares erfreulich dezent auf den Vorsätzen. Vereinzelt leichte Anstreichungen mit Bleistift am Textrand, Schnitt und Papier gleichmäßig leicht gebräunt und gewellt. Insgesamt sehr gut erhaltenes und sauberes Exemplar der in dieser Vollständigkeit und Qualität äußerst seltenen Zeitschrift. Versand D: 5,50 EUR Bräuning-Oktavio, Hermann (Hrsg.) und Wilhelm Diehl (Hrsg. ): Hessische Chronik. Monatsschrift für Familien- und Ortsgeschichte in Hessen und Hessen-Nassau. Begründet und herausgegeben von Hermann Bräuning-Oktavio und Wilhelm Diehl. Jahrgang 1/1912 bis 29/1942 komplett. 29 Jahrgänge (= so vollständig). Darmstadt: Verlag der Wittich\'schen Hofbuchdruckerei 1912-1922 und 1925-1942.
des pp. 410 à 746 Nice, 1912, in-12, des pp. 410 à 746, broché, couverture imprimée, Très bel exemplaire de cette revue de Nice publiée entre 1912 et 1914. CATALOGO GENERALE della raccolta drammatica italiana di Luigi Rasi. Paris: Mabileau & Co, 1912. Hand-coloured pochoir print. Very good condition. Theophile Schneider, formerly of the Rochet/Schneider Company, began building his own cars in 1910. This car, a 2.8 litre 4 cylinder model, had an unusual radiator placement, on the dashboard. All pre-1914 Schneiders were built in this way.The Gamy-Montaut prints document various, mostly hurried events in the early history of motorized transportation, including Power Boat Racing, Motorcycle and Motor Car Racing, Motor Car Touring, Zeppelins and Airplanes.Clearly an enthusiast himself, Ernest Montaut produced his first motoring prints in the mid-1890s, and by 1897, his drawings depicted many races in France. Montaut's work was extremely well received in the Paris of his day and was shown in the fashionable shops of the Rue de l'Opera and Rue de la Paix, as well as in the better galleries.Marguerite Montaut, Ernest's wife, joined him in his work producing not only racing prints but also developing a fine series of aviation prints commemorating such events as the first flights on the early European mail routes. While Marguerite Montaut's works were occasionally signed "M. Montaut", she also used the name "Gamy", an anagram for Magy.The Gamy-Montaut prints were all produced by the pochoir process in which the outlines for each image were drawn onto lithographic stones and printed. Using these uncoloured prints as a template, elaborate stencils were cut for each colour. Water-colour was then brushed onto the image through the stencil. The colouring process was quite complex, with each print taking several days to produce. It was also quite labour intensive, and the studio of Gamy-Montaut therefore employed a group of trained artists, including Nevil and Campion, to assist in the colouring. Peter Pan Portfolio From "Peter Pan in Kensington Gardens"
London: Hodder and Stoughton Ltd, , 1912. Elephant folio. Original full vellum, titles to front board gilt, new cream silk ties. In a facsimile of the original box. With 12 tipped in and mounted and signed plates reproduced from the original artwork by Arthur Rackham. Moderate soiling to boards with some spotting, corners and ends of spine bumped, plates with slight wave to them. A very good copy. Signed limited, number 3 of 100 copies signed by the publisher and engraver/printer on the limitation page and each plate signed on the mount by Arthur Rackham. Although limited to 100 copies only about 20 were signed throughout by Rackham. 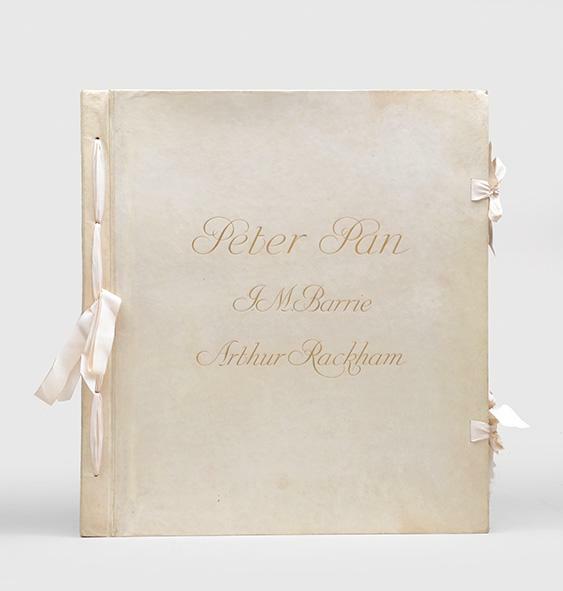 The only suite of Rackham's plates to be issued in an oversize portfolio format, with 12 of the artist's personal favourites from Rackham's Peter Pan in Kensington Gardens reproduced at their original size, published to capitalise on the popularity of the stage production Peter and Wendy. Of Rackham's designs Barrie wrote, "I like best of all the Serpentine with the fairies, and the Peter in his night-gown sitting in the tree. Next I would [sic] the flying Peters, the fairies going to the ball (as in the 'tiff' and the fairy on cobweb)?the fairies sewing the leaves with their sense of fun (the gayest thing this) and your treatment of snow" (Ray 329). Perhaps Barrie's comments influenced Rackham's selection, as this portfolio includes all the images he mentioned. RACKHAM, Arthur.) BARRIE, J. M.
Peter Pan Portfolio. From "Peter Pan in Kensington Gardens". 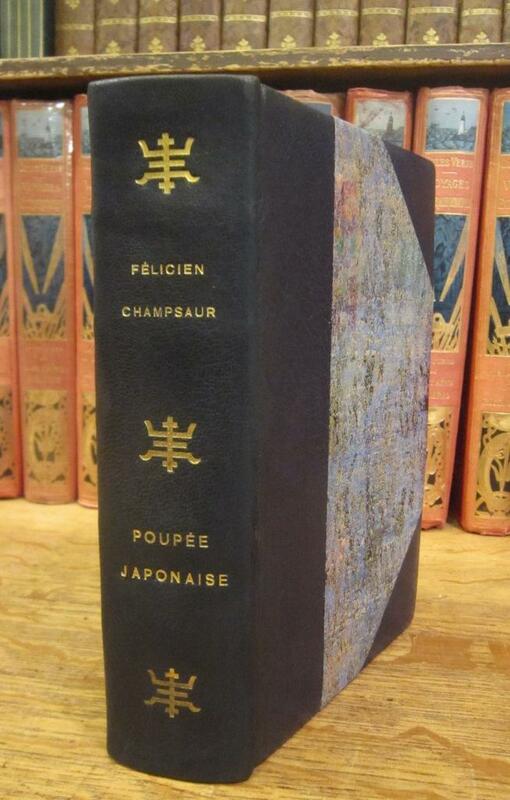 London: Hodder and Stoughton Ltd, 1912 - Elephant folio. Original full vellum, titles to front board gilt, new cream silk ties. In a facsimile of the original box. Moderate soiling to boards with some spotting, corners and ends of spine bumped, plates with slight wave to them. A very good copy. With 12 tipped in and mounted and signed plates reproduced from the original artwork by Arthur Rackham. Signed limited, number 3 of 100 copies signed by the publisher and engraver/printer on the limitation page and each plate signed on the mount by Arthur Rackham. Although limited to 100 copies only about 20 were signed throughout by Rackham. The only suite of Rackham's plates to be issued in an oversize portfolio format, with 12 of the artist's personal favourites from Rackham's Peter Pan in Kensington Gardens reproduced at their original size, published to capitalise on the popularity of the stage production Peter and Wendy. Of Rackham's designs Barrie wrote, "I like best of all the Serpentine with the fairies, and the Peter in his night-gown sitting in the tree. Next I would [sic] the flying Peters, the fairies going to the ball (as in the 'tiff' and the fairy on cobweb)&#151;the fairies sewing the leaves with their sense of fun (the gayest thing this) and your treatment of snow" (Ray 329). Perhaps Barrie's comments influenced Rackham's selection, as this portfolio includes all the images he mentioned. Latimore & Haskell pp. 39-40; Riall p. 113. Maquette originale pour la couverture d'un manuel scolaire scientifique édité à Montluçon :. 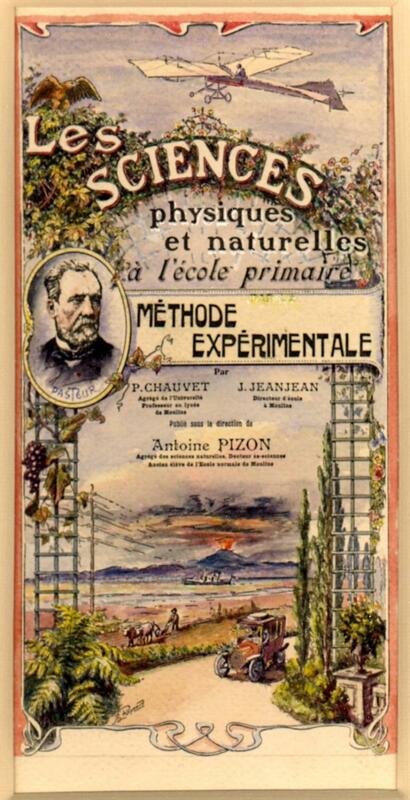 "Les sciences physiques et naturelles à l'école primaire par la méthode expérimentale, par P. Chauvet. J. Jeanjean. sous la direction de Antoine Pizon.". Switzerland 1912-1919. 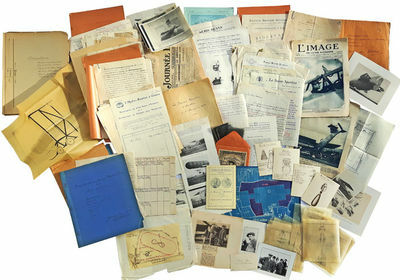 Archive of aviation documents concerning the development of a Swiss Air Force, including typescript reports, manuscript notes and charts, manuscript drawings, photographic images, correspondence, and ephemera, most dating between 1912 and 1914, being works made by and information gathered by Etienne Edmond Borel (1858-1928), a founding member and president of l'Aéro-Club (the Swiss Aviation Club), Colonel in the military, and a leading active advocate for establishing a Swiss military Air Force. Featuring intelligence gathered from other countries, and original signed letters from notable pioneer aviators. Most documents are in French; a scant few are in German. A cornerstone to any Swiss aviation or militaria library. Earnest in his effort to establish a Swiss military air force, previous to the Great War, aeronautics pioneer Etienne Edmond Borel (1858-1928) dedicated years of research into foreign military aviation, from aircraft development to military organisation and air defense. 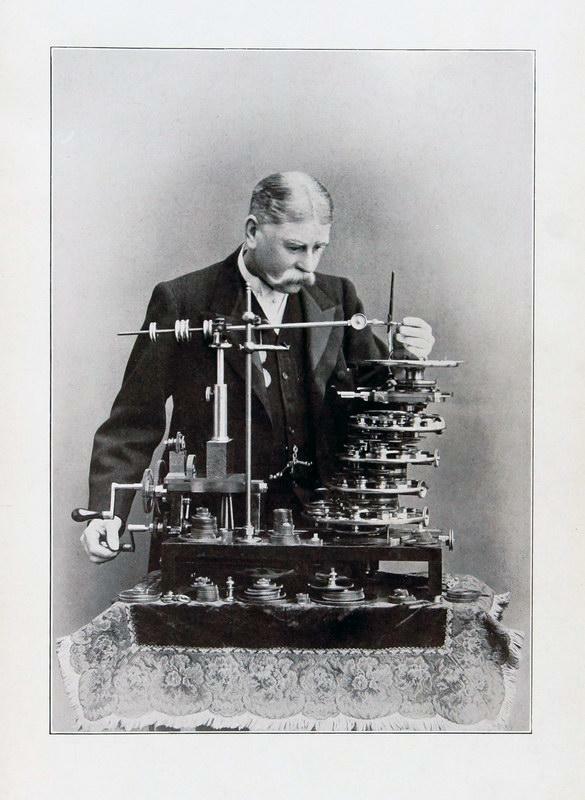 He also performed and recorded flight experiments. Much of his work is present in this, his personal archive, which also yields letters and signatures from several other notable figures in the history of aviation. At the time of Borel's work, Switzerland did not have an air corps, and up to 1914 there was still very little official support for establishing one. The first military aviation in Switzerland, in fact, took the form of balloon transport, pioneered by Swiss balloonist Eduard Spelterini, who performed test flights for the Swiss military Airship Company which had been founded in 1897. To impress upon the government the importance and viability of establishing a Swiss Air Force, and secondly for public support, Borel draws an impressive amount of information from foreign military archives and publications of existing air forces. He writes to numerous parties to obtain confidential information which he would otherwise not have privilege to, in this manner procuring a document of the procedures and considerations taken by France in 1911 to effectively develop its military air force. Not only seeking data from powerful nations such as Germany, France, England, Russia, and America, he also illustrates the movement from airships to aeroplanes in small neighbouring countries. He further substantiates his conviction in the benefits of military aviation, with his own aviation expertise and firsthand aircraft observations. He also attempts to establish aviation schools in Switzerland. As a leading contributor of fundamental aviation data, scientific testing, and foreign intelligence on the matter, Borel was most influential to the founding of the Swiss Air Force in 1914. Following are some examples and highlights from the archive: 1912 Intelligence on foreign military aviation, compiled by Borel and presented to the board of the Swiss Society of Officers (Société suisse des officiers, SSO) which aims to promote an effective army and deals with matters of national and international relations within the framework of Swiss security policy objectives. Title: Notes et renseignements sur l'aviation militaire é l'étranger. par le Lieut Colonel Etienne Ed. Borel... Offert à la Société des Officiers, Août 1912. 8vo. 60 pages, typescript document with orange paper covers titled to front and dated August 1912. Borel draws attention to the increasing aeronautics development for military use, in world powers and in small neutral nations, in hopes to influence Swiss leaders to do the same. He begins by providing the specific number of military aircraft operating in France, Germany, Austria, England, and Italy, together with a compendium of further intelligence gathered from these countries as well as Turkey, Russia, Belgium, China, Japan, and the United States of America. He then reviews in detail the 12 million francs budget allocated by France in 1912 for a military aerostation, including funding for various regiments. In a summary of maneouvering experiments undertaken in France in 1911, which he participated in, he compares dirigibles to aeroplanes. Here he reassures his audience of diplomats that an air corps would not interfere with cavalry or other ground troops, "Service Aeronautiques... Leur emploi ne diminue en rien le rôle de la cavalerie et des troupes employées au service de sûreté il n'est d'ailleurs pas possible en tous temps." A portfolio of important correspondence and confidential military information, concerning the formation of a national Air Force as well as aviation schooling, featuring original signed letters from notable early aviators and inventors in France and Germany. Some examples: •Borel's retained carbon copies of a manuscript letter requesting apprenticeship information from famous French aviator and inventor Louis Blériot, who was at the time involved in a five-year legal struggle with the Wright Brothers over their wing warping patents. Also with Blériot's response on corporate letterhead; his firm designed and produced aircraft. •Request for apprenticeship contracts, as above, from Édouard Nieuport whose company primarily built racing aircraft •Request for apprenticeship contracts, as above, from pioneering French aviator and the first winner of the Daily Mail aviation prize Louis Paulhan, •Correspondence with French aviator and aircraft builder Roger Sommer, who provides Borel with copies of purchase contracts with which France bought monoplanes from Belgium. •Enquiries into costs and requirements for operating an aviation school, sought from François Durafour, the first glacier pilot René Grandjean, and again Louis Blériot, Roger Sommer, and Louis Paulhan. •Details obtained on the steps taken by France in 1911 in developing its military air force. Summary of international standards, comparing from Germany, France, Italy, Russia, England, the United States, Belgium and Austria, such things as pilot certification requirements, insurance, recruiting, indemnities for aviators, and construction standards for aeroplanes. We also find in this folder a manuscript plan of the aerodrome in Leipzig. 8vo. Neatly organized blue folder, titled, signed by Borel to front and dated Juin 1913. A group of manuscript drawings contained together in a yellow envelope: •16 pencil drawings on draft paper, each of a unique pioneering aircraft, leafs measuring approximately 15 x 13 cm; •4 coloured manuscript ink drawings of German bombs for air dropping •3 manuscript ink drawings of aviation camps in France and England, together on one large leaf of draft paper measuring 66 x 30 cm; •1 large drawing of the Wilkes biplane, made in Lausanne in 1916 and signed by the artist (Last name Wilkes) on draft paper measuring 64 x 29 cm; •8 photograph copy images of airships; •1 original photograph of a German bi-plane. Aviation statistics and observations (circa 1912-1914): •A typed list of Switzerland's certified pilots •Borel's assessment of then recent flight accidents and their causes •A comparative chart of some 25 manufacturers' bi-planes, their specs and capabilities •A chart of flying observations recorded during planned experimentation (found in Borel's report 'Aérodynamique' described below) •Manuscript chart recording new world records in aviation achieved in the year 1914. 1913 Scientific report on Aerodynamics replete with manuscript diagrams and calculations. A fascinating pioneering aeronautics study, this is Borel's personal working copy, heavily annotated, featuring an insert with definitions and a manuscript table of contents. Title: Aérodynamique; Forces qui agissent sur un Aéroplane; Stabilité; Propulseurs. 8vo. 41 pages, typescript with orange paper covers titled in manuscript and signed original by Borel to front. Some of the subjects within include air resistance, horizontal flight, elevation and descent, stability and steering, rolling, methods for propulsion, and a data chart comparing the results of six trial flights using bi-planes. "Aérodrome d'Avenches" - A typescript report on the founding and the construction of the Swiss aerodrome erected in a prairie region called Cours-Vieux, in Avenches, canton of Vaud, which was in operation from 1910 to 1921. Aerodome Plans: •Early printed plan of the first Geneva aerodrome, created in 1919 at Cointrin, near the city of Geneva, and covering an area of 54 hectares (130 acres) •Manuscript plan of the aerodrome in Leipzig Correspondence pertaining to a meeting to take place 19 and 20 August 1912 concerning hydro-aeroplanes [seaplanes], including a addressed to Etienne Borel, then President of the Swiss Aviation Club, headquartered in Geneva. Together with the itinerary and rules for the meeting. 8vo. 7 pages typed, completed in manuscript. [This was only the second meeting in the history of hydraviation, with only four pilots taking part. Except for René Grandjean who was Swiss, the three other pilots were all French: André Beaumont, Franck Barra and René Tétard. Lieutenant Colonel Etienne Borel was invited to present a silver cup to each of the airmen.] Seventeen (17) photograph film negatives of images taken at air shows held in Geneva and Lausanne, Switzerland, contained in an envelope with the label of Rembrant Paper, and inscribed in manuscript, "Genève et Lausanne 1912, format 7 x 11" Lecture notes headed "Locomotion Aerienne" which Borel presented in the town of Vevey on 21 February 1913, according to his annotation. 40 pages typed, heavily annotated, contained in a folder. Ephemeral items of historical aviation interest, such as: Two copy print photographs of Agénor Parmelin (1884-1917), Swiss pioneer aviator, and military aviation instructor, who is best remembered as the first man to fly an aeroplane over Mont Blanc on 11 February 1914 and thus connecting Geneva to Aosta (I). He died in 1917 in Varese in a seaplane accident. Together with an article from a German newspaper announcing the successful Mont Blanc flight, with a photographic image of Borel congratulating Parmelin. •Two consecutive issues of a Swiss newspaper called "L'Image de la vie moderne" of special interest to Swiss aviation, with photographic images on the front covers, and several related articles, both printed in 1919. Swiss aviation pioneer Oskar Bider makes the front cover of one of the issues; he was the first person to cross the Alps in a plane on a route from Bern to Milan, a feat he completed in 1913. •The calling card of Ernest Burri (1887-1969), a Swiss pioneer aviator, a test pilot French aviation company Chantiers Aéro-Maritimes de la Seine (CAMS), and runner-up in 1914 edition of the Schneider Cup. •An invitation to an event hosted by the Aéro-Club Suisse in Brigue in 1920 to erect the monument to honour Peruvian aviator Jorge Chávez Dartnell. •Newspaper clippings, printed articles, and periodicals from the period, each announcing or describing major events in the history of aviation •A colour printed chart of aviation ensigns Etienne Edmond Borel (1858-1928) was a founding member of l'Aéro-Club (the Swiss Aviation Club, CSA), serving as president from 1909 to until 1919, and a leading active advocate for establishing a Swiss military Air Force. The 1912-1913 hydraviation meetings were organized under his authority. He was also a well-known lecturer at the Military Society of Geneva, well before his debut at the Aero-Club. Attaining the rank of Colonel in the military, he led a regiment from 1909 to 1915 during the first 2 years of the General Mobilization. In 1911, when he commanding the 34th Infantry Regiment, he was appointed to the first Army Corps maneuvers. At this time, he convinced the Swiss Aviation Club to disburse 2,000 francs for an aircraft to participate in maneuvers for the first time in Switzerland. The event took place in September 1911, selecting aviators Ernest Failloubaz and Charles Lecoultre to perform. A great debate then took place across Switzerland concerning a future military aviation corps, which so many nearby nations had developed. In mid-1912 Borel sent a memorandum to the Chief of the General Staff to obtain an annual credit of 50,000 francs for the training of private pilots, enabling them to participate in military exercises with their own aircraft. He had a further vision of a military school equipped with seven aircraft for twenty aviators, which would make it possible to found a first company of eight airplanes. Letters and reports in the present archive show his efforts in planning for just such an aviation school. At the end of November, he also proposed to the General Staff to purchase aircraft and train 50 pilots within two years, for 530,000 francs. The Swiss government was not yet ready for these programs, but Borel continued to give lectures on the subject, in various cities. Finally, in Friborg, a large meeting of Swiss officers assembled to create a national collection for aviation (Flugspende), and by the end of 1913 they had raised 1,7 million francs. In January 1914, the CSA offered the Prix Borel, a prize of 500 francs, to the first two future military aviators. Subsequently, the Federal Military Department (DMF) commissioned Borel into a team to study the feasibility of creating an air force troop, preferrably funded by civilian capital. Eventually, the DMF created an aviation troop on the model proposed by Borel. Assigned to this service, Borel contributes greatly to its success, and in 1914 the Swiss Royal Air Force was founded. In 1918 Borel was transferred to the General Staff in Berne. After the Armistice was signed in November, however, his attention returned to the Swiss Aviation Club. Although it had lost its exclusivity in aviation due to the military development, it survived the war with 40 members, and continued it activities. The Swiss Air Force (Schweizer Luftwaffe; Forces aériennes suisses; Forze aeree svizzere; Aviatica militara svizra) was established on 31 July 1914 as part of the Swiss army, although in very modest form. The outbreak of World War I increased public and government support for military aviation quite significantly, and thus cavalry officer Theodor Real was charged with forming a flying corps. He commandeered three civilian aircraft at Bern's airfield and set about training the initial nine pilots at a makeshift airfield close to Wankdorf Stadium, later moving to a permanent home at Dübendorf. Switzerland remained neutral and isolated during the conflict, the air corps therefore confining its activities to training and exercises, reconnaissance and patrol. During the worldwide economic crisis - the 1930s Great Depression - Switzerland saw it fit to established an effective air force, doing so at great cost. Finally, in October 1936 the Swiss Air Force became an independent service. Paris: Mabileau & Co, 1912. Hand-coloured pochoir print. Very good condition apart from some light soiling in the left margin. The four cylinder, 10HP motor model pictured here was manufactured by the French company La Licorne (The Unicorn) and raced in the Tour de France of 1912 and 1913. 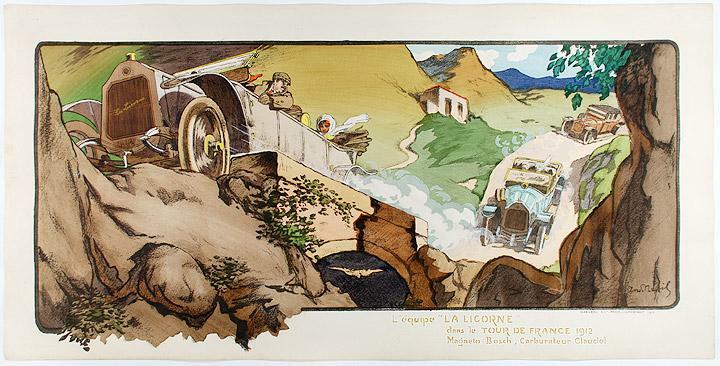 La Licorne, which was named in honor of the founder, J. Corré, on whose family crest the fabled beast appeared, quickly became one of the most significant French automobile manufacturers.The Gamy-Montaut prints document various historical events in the early history of transportation, including Power Boat Racing, Motorcycle and Motor Car Racing, Motor Car Touring, Zeppelins and Tennis.Having observed the rapidly growing interest in cars and racing during the early years of motor cars, Ernest Montaut produced his first motoring prints in the mid-1890s, and by 1897, his drawings were pictorial records of the many races in France. Montaut's work was extremely well received in the Paris of his day and was shown in the fashionable shops of the Rue de l'Opera and Rue de la Paix, as well as in the better galleries.Marguerite Montaut, Ernest's wife, joined him in his work producing not only racing prints but also developing a fine series of aviation prints commemorating such events as the first flights on the early European mail routes. While Marguerite Montaut's works were occasionally signed "M. Montaut", she also used the name "Gamy", an anagram for Magy.The Gamy-Montaut prints were all produced by the pochoir process in which the outlines for each image were drawn onto lithographic stones and printed. Using these uncoloured prints as a template, elaborate stencils were cut for each colour. Water-colour was then brushed onto the image through the stencil. The colouring process was quite complex, with each print taking several days to produce. It was also quite labour intensive, and the studio of Gamy-Montaut therefore employed a group of trained artists, including Nevil and Campion, to assist in the colouring. The birds of South America. Brabourne (Wyndham W. Knatchbull-Hugessen). 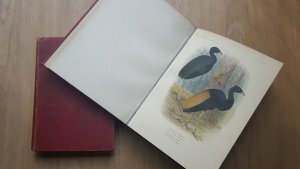 The Birds of South America, 2 volumes. (Text/Plates), 1912 & 1917, additional half titles, volume 2 with thirty-eight fine hand-colored lithographic plates after H. Grönvold (complete), descriptions of plates bound at rear, occasional spotting to a few plates, double-page colour map to volume 1, volume 2 with t.e.g., publisher's cloth gilt, spines slightly faded, 4to: v. 1. A list of the birds of South America / by Lord Brabourne and Charles Chubb -- v. 2. Illustrations of the game birds and water fowl of South America / by H. Grönvold. Vol. II has title: Illustrations of the game birds and water fowl of South America. By H. Grönvold half-title: The birds of South America Vol. II (Plates) (Issued in 6 parts, 1915-17). The work was to have comprised 16 vols. with 400 hand coloured plates, but owing to the death of Lord Brabourne at Neuve-Chapelle in 1915 only vol. I of the text has been published. The 38 plates already finished by Mr. Grönvold, with notes on most of the species by H. Kirke Swann, have been issued as vol. II. cf. Publisher's note, v. 2. The last ornithological natural history publication with hand-colored plates.Thecoloristsbecame "invaluabale" due to increasing labor costs and the improving of printing processes. Until today the hand-colored plates are unreached in their quality beingtrue-to-life. Zimmer, Ayer Ornithological Library, p. 85/6. Poly-Cyclo-Epicycloidal and other Geometric Curves. SIGNED / DEDICATION COPY. Geschenkexemplar mit handschriftlicher Widmung des Verfassers an den Mitherausgeber Prof. Richard Kerr (datiert 1912). Reach, Sigmund. Alte prager Tore. 20 Original-Fotografien. Einmalige Ausgabe 1912. Stare prazske brany (Tschech. 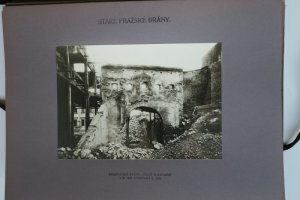 Fotowerk: Alte prager Tore). Prag, Reach, 1912. * 20 Original-Fotografien, je 12 x 15 cm. * Auf Pappe montiert lose in OHlwd.-Mappe mit Verschlussbändern.
. Reach, Sigmund. Stare prazske brany (Tschech. Fotowerk: Alte prager Tore). Prag, Reach, 1912. 28,5 x 21 x 3 cm. * 20 Original-Fotografien, je 12 x 15 cm. * Auf Pappe montiert lose in OHlwd.-Mappe mit Verschlussbändern (Rückengelenke gebrochen). - Die Fotografien zeigen 20 alte Prager Tore, wie das Konska Brana, Ujezdska Brana, Strahovska Brana uvm. - Sigmund Reach (1859 - 1935) studierte Germanistik, arbeitete dann in einer Buchhandlung und begann 1888 mit dem Fotografieren. Er war später Antiquar und Experte für Pragensien. - Eine Fotografie in der Mitte geknickt. - Gutes Exemplar, Zustand siehe Fotos. .
Schwarz-weiß Original-Radierung ohne Titel. Kaltnadel mit Vernis mou. Blattformat: 50,5 x 35,3 cm, Motivformat: 31,5 x 23,7 cm (HxB). Druck auf leicht getöntem Velin. Auflage: 46/50. Von Schumacher signiert. Rückseitig Reste einer ehemaligen Montierung, das Motiv im - nicht mehr vorhandenen - Motivausschnitt leicht gebräunt. Ansonsten ein gutes Exemplar dieser seltenen Graphik. Limited and handsigned originally etching. Good copy. Rare. Schumacher (1912-1999) galt als der wichtigste Vertreter des deutschen Informel. Seine Werke hängen in fast allen grossen Museen der Welt und befinden sich in nahezu allen bedeutenden Privatsammlungen. 2009 wurde das Emil-Schumacher-Museum in seiner Heimatstadt Hagen eröffnet.